Aspect Multimedia provides XR (eXperiential Reality) services for agencies, business, individuals, and organizations. We thrive on creating stunning multi-sensory immersive experiences that inspire, motivate and educate while leaving a meaningful impact and a lasting impression. Our services include immersive experiential design and multimedia content creation for XR, AR, VR, and MR (eXperiential Reality consists of Augmented Reality, Virtual Reality, and Mixed Reality), Cinematic 360VR / Captured Reality Video, Photo and VFX production, Spatial Augmented Reality / Video Projection Mapping, Photogrammetry, Volumetric Capture, UI/UX design, WebVR and much more. If you would like to learn more about how Aspect Multimedia can help with your project, send us a message. We would love to be a part of your project! Captured Reality or 360VR imagery is typically created with a spherical camera system that simultaneously records a full 360˚ view of a scene an combined with 360˚ Spatial Audio which allows the viewer to fully immerse themselves into worlds, by giving them control of a virtual camera and it makes them a part of the story. 360VR Video and Photos are great for Social Media, Website, 3D Architectural Visualization, Virtual Reality and much more. Instead of showing consumers your brand, you can ket them experience your brand. For more 360VR samples, visit our Facebook page and YouTube channel. A picture says a 1000 words, but a 360 video says it all! 360˚ Virtual Reality Video is a stunning and captivating way to share immersive stories, places, and experiences with viewers. 360˚ VR Video is more than just a new platform for storytelling, it’s a marketing tool in itself. 360 Videos have a greater organic reach compared to traditional video, have better engagement, higher repeated view rate and a higher click-through rate. Bring your clients off the streets and into your business. Choosing the right business is often tough. Build trust with a high-quality virtual tour that lets people experience your location before they arrive. These immersive, virtual experiences inspire greater confidence among prospective guests and patrons. Not only will these virtual tours appear on Google searches, Google Maps, and Google+ Local pages but you can also easily embed Google Business Photo tours on your own website or Facebook page! Aspect Multimedia is proud to be a Google Street View Trusted Agency. 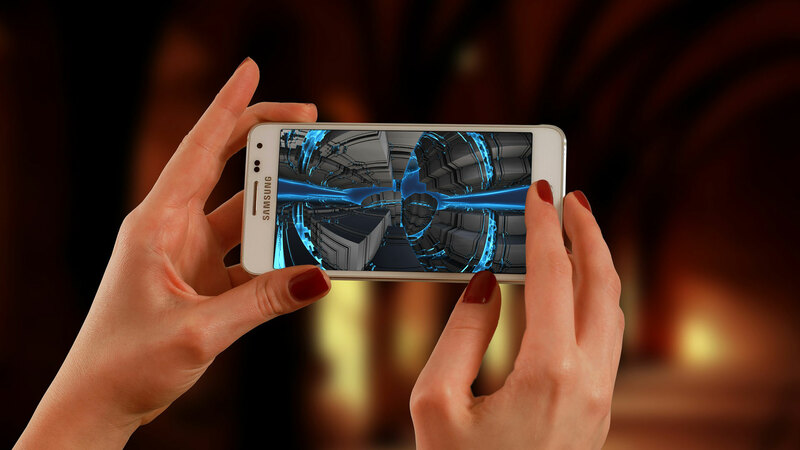 Often referred to as a “magic window” users can view 360˚ Virtual Reality content on a modern smartphone or tablet, by swiping around the screen, or even tilting the device up, down left or right. 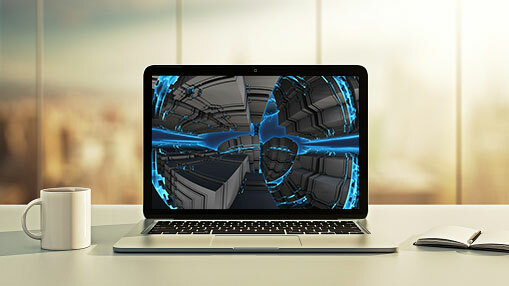 View 360s on a computer by clicking and dragging and mouse, trackpad, keyboard or other controllers. You can even have self-guided moments or automatically spins. HMDs like the Oculus Go, Oculus Rift, HTC Vive, Gear VR or Google Cardboard of the are the most immersive and impressive way to experience 360˚ VR content. It’s the closest thing to being there with actually being there. 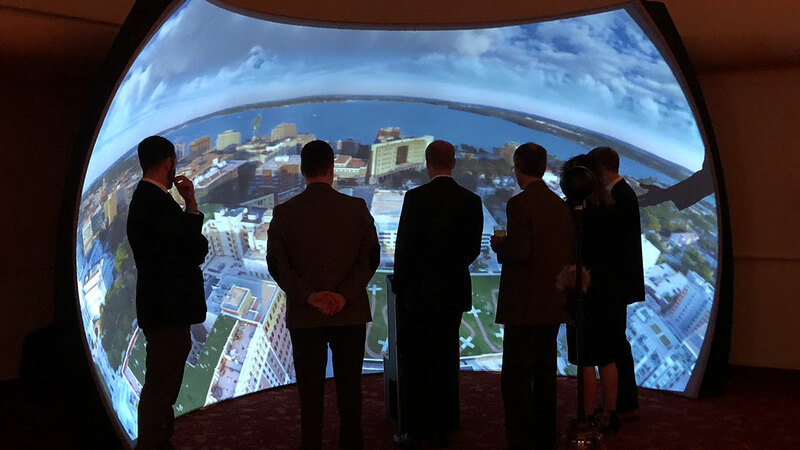 Video globes are an innovative way to view and interact with XR content and the most effective way to explore global datasets. 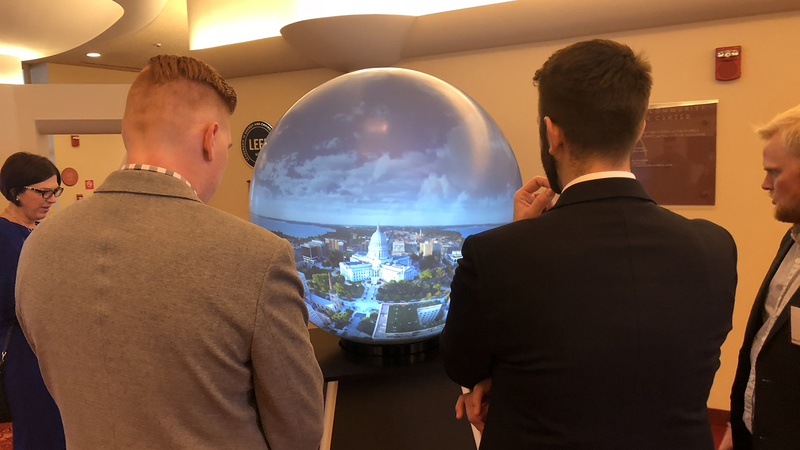 With diameters up to 6′ feet, these impressive spherical video displays are sure to grab viewers attention. Hold a 360˚ Panorama in Your Hand! 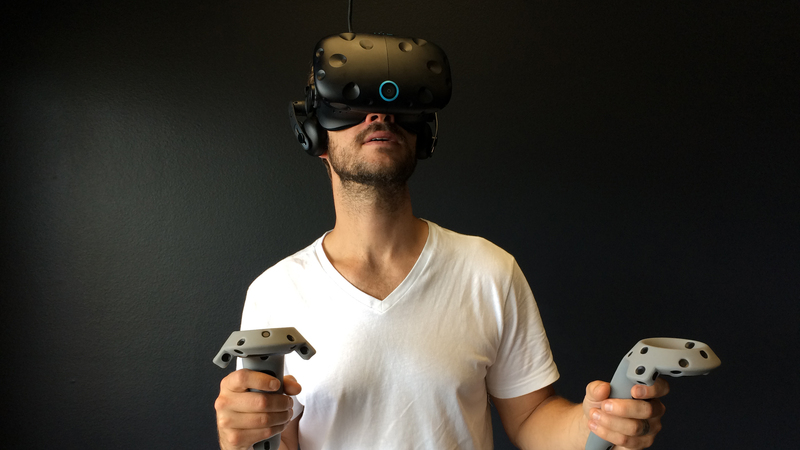 Aspect Multimedia can turn virtual 360˚ VR Imagery into physical objects. 360 Panoramic Origamis are fantastic for packaging, promotional displays or ornaments. They can be shipped flat or shared as a printable file. These 3D full-color sandstone spheres are a truly unique way to display 360 photos, video stills, and 3D renders. Keep one on your desk, a display shelf, or share it with others. No batteries required! Spatial Augmented Reality also known as projection mapping or video mapping, is a method of projection, where light is mapped onto irregularly shaped or non-white surfaces, turning objects, into interactive displays for video projection. 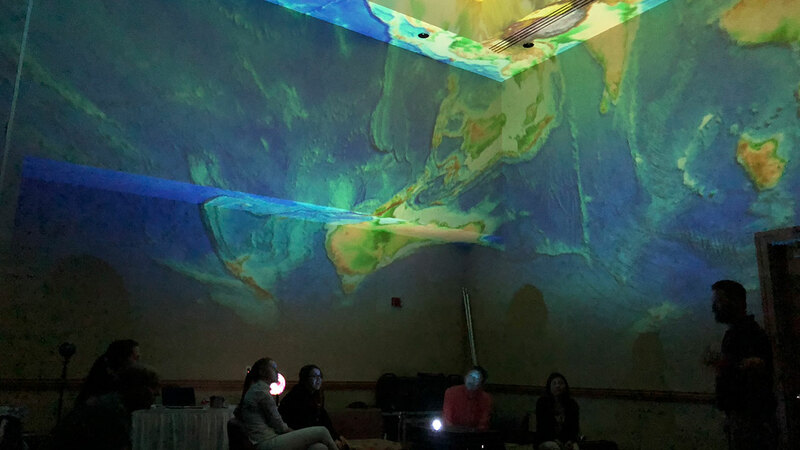 Projection mapping can be used for advertising, live concerts & events, theater, show room, trade show, museum or art installations, visitor centers and much more. Spilt seconds or several months, a lot of things can go unnoticed. But with Aspect Multimedia’s time-lapse and high-speed cinematography services, we can manipulate time! Taking processes that can be invisible to naked eye can be frozen in time, or long processes that take hours, days or even weeks, can be experienced in seconds. From capturing stunning 360˚ Virtual/Captured Reality drone flyovers to live air show performances and demonstrations, we have all aspects of aerial filmmaking covered. For situations that require, we also have a fully insured and licensed pilot, with a 107 and 333 waiver for closed movie sets and aerial filmmaking. Check out some of our military air show demo footage featured on the Smithsonian Channel’s Air Warriors: Season Two: Episode One A-10 Warthog. Motion graphics and animation allow you to express yourself, and your ideas with visual storytelling by animating illustrations, text, photos, 3D models video clips and other visual elements. Contact Aspect Multimedia and learn more about how our animation team can bring your visual ideas and dreams to life.